James has developed and currently manages the largest microscopy facility in Canada. With 30 instruments at 3 sites, he and his team at the Advanced Optical Microscopy Facility (AOMF) help more than 400 users per year with every manner of optical microscopy, from basic fluorescence and brightfield acquisition to advanced live-cell techniques such as FRAP and FRET. Under his management, the AOMF has achieved revenue neutrality (generating nearly $450k/year in user fees) and is held up as a model research facility at the University Health Network. James began working with microscopes during his Masters degree in Physics at the University of Waterloo (1995-1998), where he built a new kind of laser-scanning confocal instrument for macroscopic samples. Upon graduation, he applied his optical imaging background as a Staff Scientist at Photonics Research Ontario’s Biophotonics facility (1998-2000) where he designed optical devices for biomedical applications. James then pursued a unique opportunity to join the optical instrumentation group at the European Molecular Biology Laboratory (EMBL) in Heidelberg, Germany (2000-2002). At EMBL, he worked with Ernst Stelzer on advanced imaging applications using both commercial and prototype confocal microscopes. James returned to Toronto in 2002 to set up a microscopy facility at University Health Network. Starting with just one confocal microscope, he created the AOMF identity (name, logo, website), convinced PI’s to contribute their equipment, and added image analysis and slide-scanning services. Since establishing the AOMF in 2002, the facility has grown to become Canada’s largest optical microscopy facility and one of the largest in the world, serving over 400 researchers (students, technicians, postdocs) per year from 150 labs at nearly 20 institutes or companies. The AOMF currently has 4 laser-scanning confocal microscopes, 3 spinning-disk confocals, 8 widefield fluorescence microscopes, 5 animal-imaging systems, and a variety of specialized instruments including whole-slide scanners, laser-capture microdissection, a Raman microsope, and an imaging cytometer. James is a co-author on 11 peer-reviewed scientific publications and two microscopy book chapters, and has presented at numerous conferences and meetings both locally and internationally. He was recently elected vice-president of the Canadian Cytometry Association (www.cytometry.ca), and serves as an organizer and instructor for the international Montreal Light Microscopy Course (www.mlmc.ca). Dr. Brown has been working in light microscopy for almost 20 years. She has been seminal in the development of novel fluorescence image correlation microscopy (ICM) techniques to measure the sub-microscopic properties of fluorescent molecules from microscopy images. Developments include that of raster image correlation spectroscopy (RICS) where one can measure protein dynamics, concentrations and protein-protein interactions in living cells from laser scanning confocal images. More recently she has been involved in the Association of Biomolecular Resource Facilities (ABRF) as the Chair of the Light Microscopy Research Group where she is leading international studies in the development of quality control metrics and the assessment of the quality of light microscopes in use around the world. Dr. Brown has been the director of the state-of-the-art McGill University Life Sciences Complex Imaging Facility since 2005. The facility houses 11 microscopy platforms ranging from sensitive wide-field microscopes to an automated high content screening (HCS) system for imaging cells in 96- or 384-well plates. Dr. Brown also has expertise in many microscopy techniques including live-cell imaging, total internal reflection fluorescence (TIRF) microscopy, laser micro-dissection, fluorescence resonance energy transfer (FRET), fluorescence lifetime microscopy (FLIM), quantitative dynamic imaging, image deconvolution, and advanced image processing and analysis. 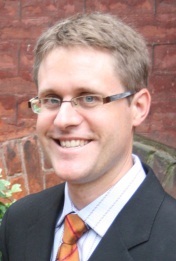 Dr. Brown has written numerous research articles developing and applying advance imaging techniques such as the various modalities of ICM and FRET. She has also published numerous articles on quantitative fluorescence microscopy and live cell imaging. Among her most ambitious educational initiatives was the creation of the two week intensive hands-on Montreal Light Microscopy Course (MLMC): Fundamentals and Frontiers that is held bi-annually in Montreal (3rd MLMC – July 7-18, 2014). Dr. Brown has recently been appointed as an Assistant professor at McGill in the Department of Physiology. She is starting up an independent research lab applying advanced imaging tools to study how protein signaling regulates cell migration in normal and diseased states.